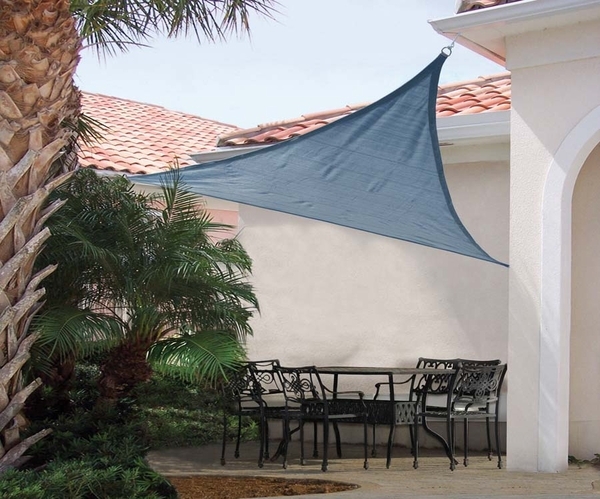 We believe that ShelterLogic's line of durable, beautiful shade sail canopies offers you one of the greatest values for your backyard renovation dollar. Made from tough 230 GSM breathable polyethylene fabric, these shade sail canopies resist up to 90 percent of the sun's harmful UVA and UVB rays. Moreover, they also allow water to pass through them, so they don't present a danger of pooling or collecting water hanging overhead. The fabric is backed by a one-year warranty, as well. It looks nice, it gives me well needed shade.